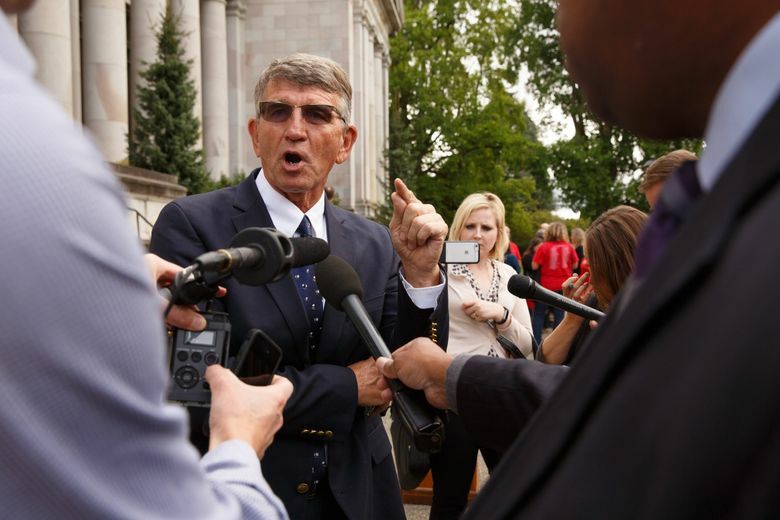 The Washington state Supreme Court Wednesday grilled attorneys about the state’s progress on its McCleary school-funding order. Now all eyes turn to the justices to see whether they’ll lift contempt sanctions — or hand out harsher punishments. 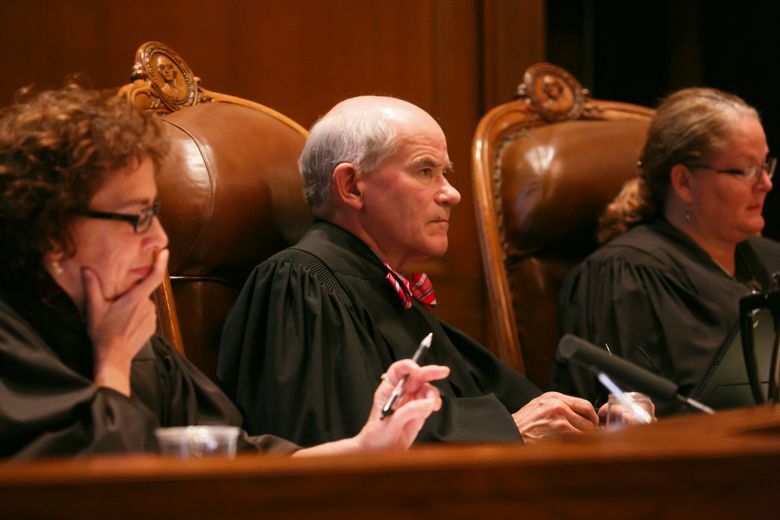 OLYMPIA — After the latest hearing Wednesday in the landmark school-funding case known as the McCleary decision, all eyes are now on the state Supreme Court’s black-robed justices to see what they’ll decide. 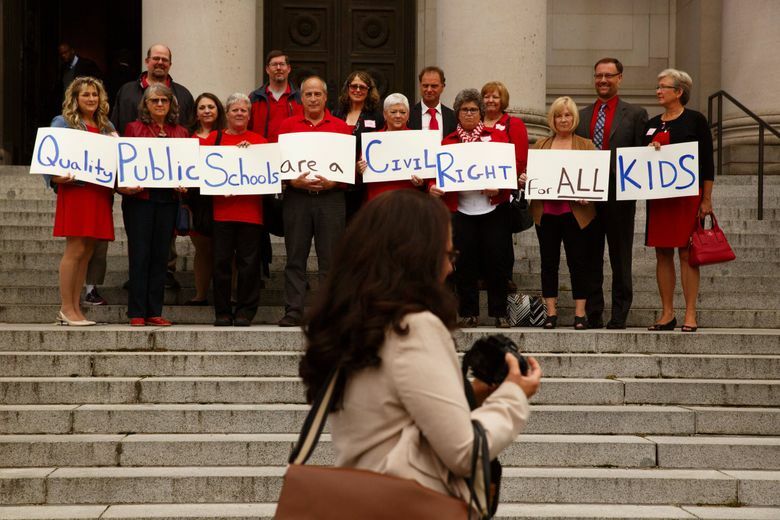 In the hearing, which lasted more than an hour, the nine justices seemed preoccupied with whether punishing the state any further would succeed in prodding legislators to finally tackle the remaining aspects of fully funding Washington’s public schools. The court also pondered what should happen if the Legislature fails to make good on that in the 2017 legislative session. In its 2012 McCleary decision, the court ruled that Washington is violating its constitution by underfunding K-12 schools. And while lawmakers and Gov. Jay Inslee have poured billions of dollars into the school system in recent years, the court has been unimpressed with the state’s progress on putting together a full K-12 education funding plan. Still unresolved is possibly the biggest-ticket McCleary item: how the state intends to cover the full cost of adequate salaries for teachers and other school employees. Local property taxes in many school districts now are used to supplement what the state provides for those salaries, with districts saying what the state provides is inadequate. But those salaries are considered basic education costs — and the state’s responsibility. With that problem unsolved, the justices in 2014 held the state in contempt for lack of progress on drafting a detailed school-funding plan. Last summer, the court added $100,000-per-day fines against the state. In the 2016 legislative session, lawmakers and Inslee passed on putting forward a major proposal to address school salaries and local levies. Instead, lawmakers and the governor passed Senate Bill 6195, which set up a task force to collect data on school salaries and levies and make recommendations for the 2017 legislative session. A fix to the salary problem is projected to cost an estimated $3.5 billion every two years, and finding that sort of money will likely involve difficult political decisions. 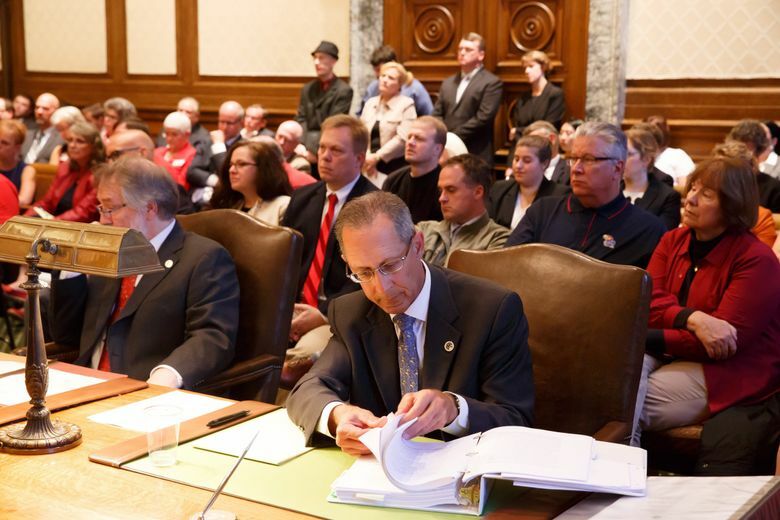 Now the court must decide whether to lift contempt sanctions, impose harsher penalties, or wait and see what lawmakers and Inslee do in the 2017 legislative session. With Wednesday’s hearing over, that ruling could come in a matter of days. It’s impossible to predict what the justices will do. But Frockt and Rep. Chad Magendanz, R-Issaquah, both said the court’s questions indicated that justices might be thinking about setting a hard deadline for the Legislature to finish its plan. 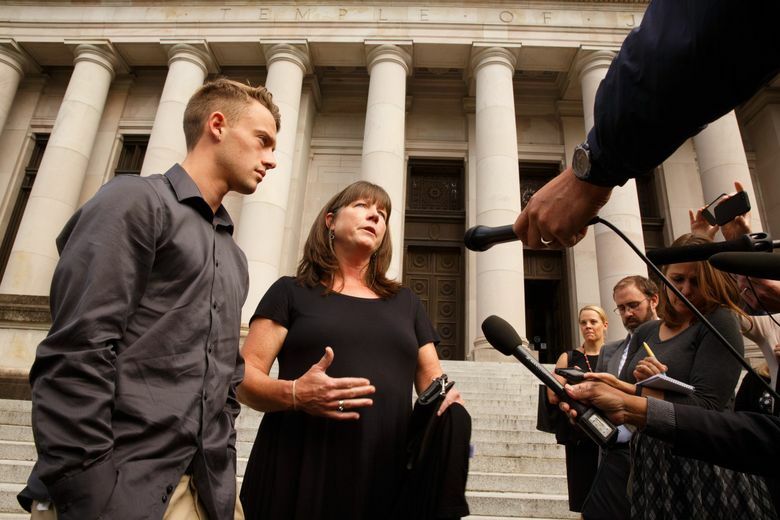 That deadline could possibly come with a set of punishments that the court could make if lawmakers and Inslee haven’t finished the job by then. Magendanz, a member of the education-funding task force created by the Legislature, said he’d find that approach helpful. 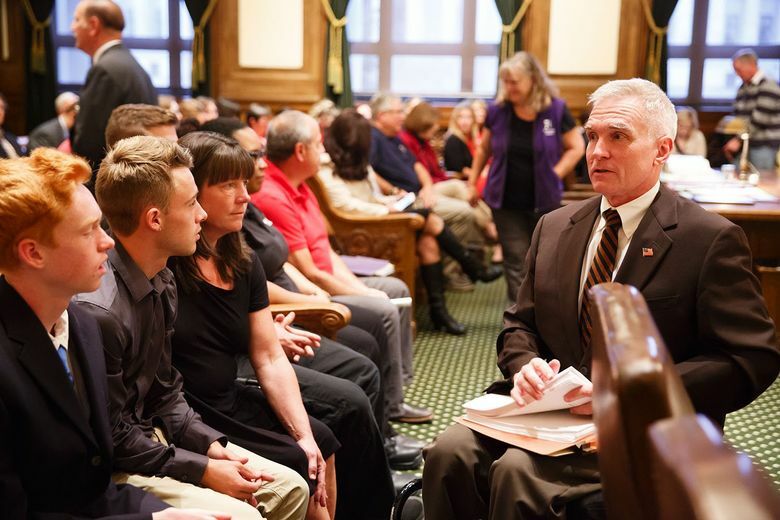 “We need to have political cover, not just from the courts but from our own constituents … that a McCleary solution is job [number] one next year,” said Magendanz, who is currently running for state Senate. 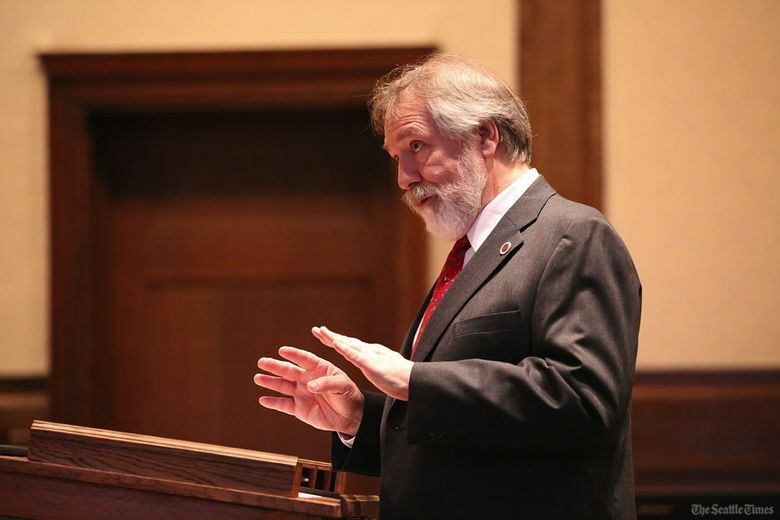 State Schools Superintendent Randy Dorn, who attended the hearing, noted that justices asked whether the contempt fines had achieved anything. 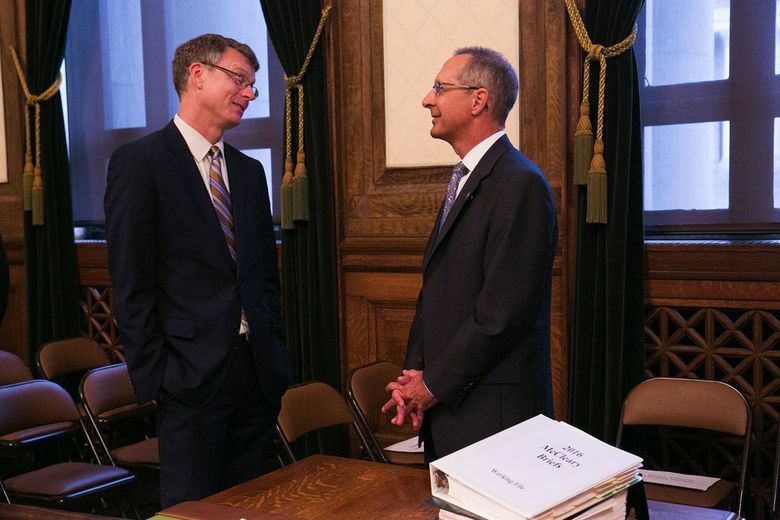 “They know what they did last year didn’t move the needle, so they’re trying to find what could they do to move the needle,” said Dorn, a Democrat and frequent critic of Inslee and lawmakers of both parties on McCleary. Even before the hearing began, the court drew detractors. Speaking outside the Temple of Justice Wednesday morning, GOP Rep. Matt Manweller of Ellensburg railed against the court’s contempt actions. Manweller’s impression of the hearing, he said later, was that justices were struggling to figure out how to be effective. 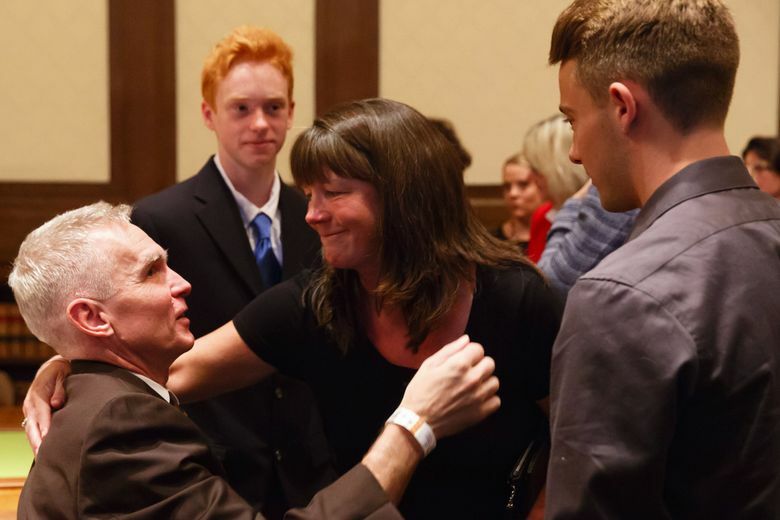 “What I saw was a court that has realized it has backed itself into a corner and doesn’t know how to get out of it,” said Manweller, who played a hand in recruiting conservative challengers to run against three of the sitting justices in November. During the hearing, the court members appeared skeptical about both sides’ arguments on what to do regarding sanctions — and whether the fines had made any difference. Justice Susan Owens used the example of one possible sanction proposed by plaintiffs: punishing lawmakers by closing the school system until full funding is achieved. Owens asked if the Legislature wouldn’t just reopen schools in the event the justices ordered them to close. “If $100,000 a day isn’t coercive, how is announcing something else that can be easily changed by the Legislature going to be coercive?” Owens asked. Alan Copsey, the state’s deputy solicitor general, said the court’s sanctions had compelled the Legislature to create its task force and commit to solving the problem in 2017. But the plaintiffs’ lead attorney, Thomas Ahearne, said the fines hadn’t had any impact. 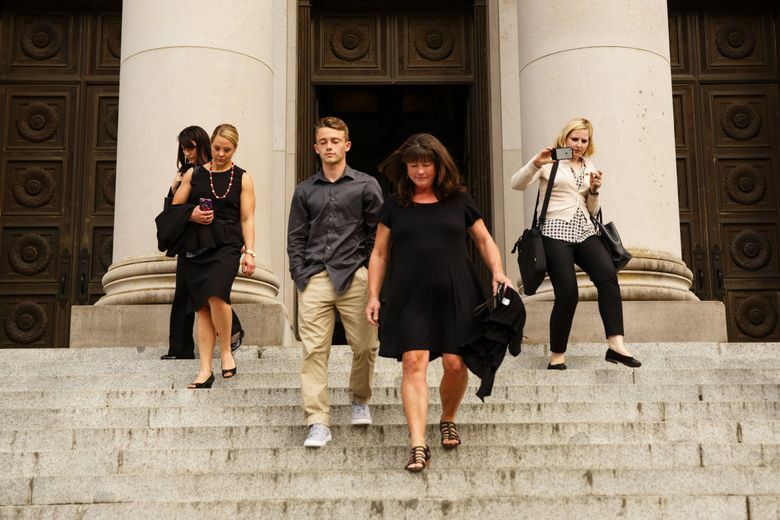 Copsey compared the Legislature’s work on McCleary to a marathon, saying while it wasn’t done yet, it had covered a lot of miles — and that contempt sanctions should be lifted. But Ahearne compared what he calls a lack of discernible progress over the years to a merry-go-round ride that’s going nowhere — and suggested much harsher penalties. “You can pretend you are doing something impressive, but it just goes around in circles,” Ahearne said. In addition to closing the school system, Ahearne has also argued that the court could invalidate all the tax exemptions enacted by lawmakers and put that money toward education. 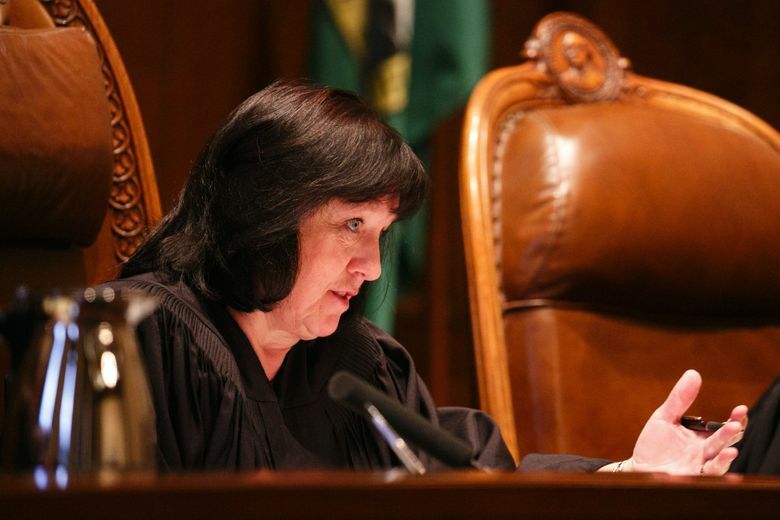 During the hearing, Chief Justice Barbara Madsen described herself as “frustrated” that the state has focused on coming up with dollars amounts to comply with McCleary — rather than figuring out a plan for where that money will come from. “It seems to me, settling on a number is not nearly as significant as it would be to settle on a source for funding, or a plan for how the schools are going to be amply resourced,” she said. Madsen also pressed the state on why lawmakers are only now dealing with teacher compensation, the toughest McCleary issue facing the Legislature. “You would think you’d start with that piece,” she said. 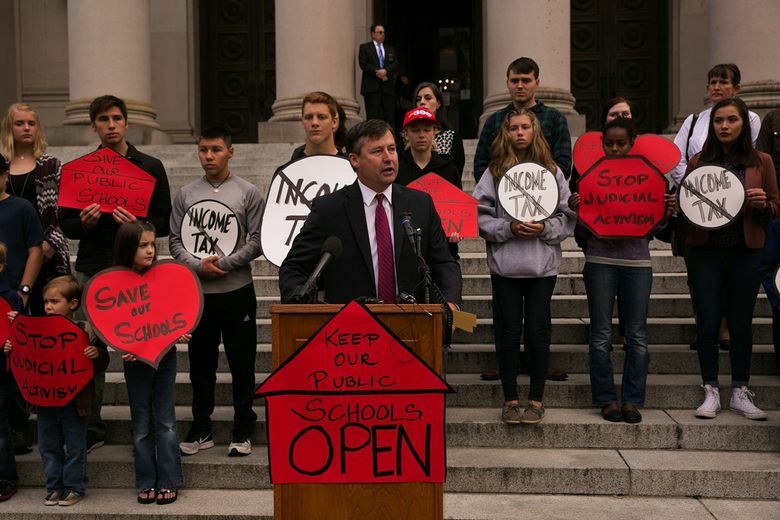 Dorn chalked up the November elections as one reason Inslee and lawmakers have chosen not to discuss where new money for school salaries would come from. Finishing McCleary is “going to take new revenue, and nobody wants to talk about that while they’re running for election,” he said. The deadline to comply with McCleary is 2018, though the two sides disagree on what that specific deadline means. Justices have retained jurisdiction over the case, and have required regular reports on lawmakers’ progress. The contempt fines against the state now total $39.1 million, Copsey said Wednesday. While it’s a lot of money, it’s considered a relatively tiny sum for a state that has a $38.2 billion operating budget for the 2015-17 biennium. Some legislators have said the fine isn’t real; it wasn’t included in that operating budget or the supplemental budget approved in March. To date, the punishment hasn’t cost the state anything. The McCleary decision stems from a lawsuit filed in 2007 by school districts, local teacher unions, community groups and the McCleary and Venema families. The plaintiffs won in trial court, and again in 2012 before the state Supreme Court. Standing outside the courtroom Wednesday, Stephanie McCleary held a photo of her son Carter, who was a young boy when the case began. Carter is now a senior in high school. 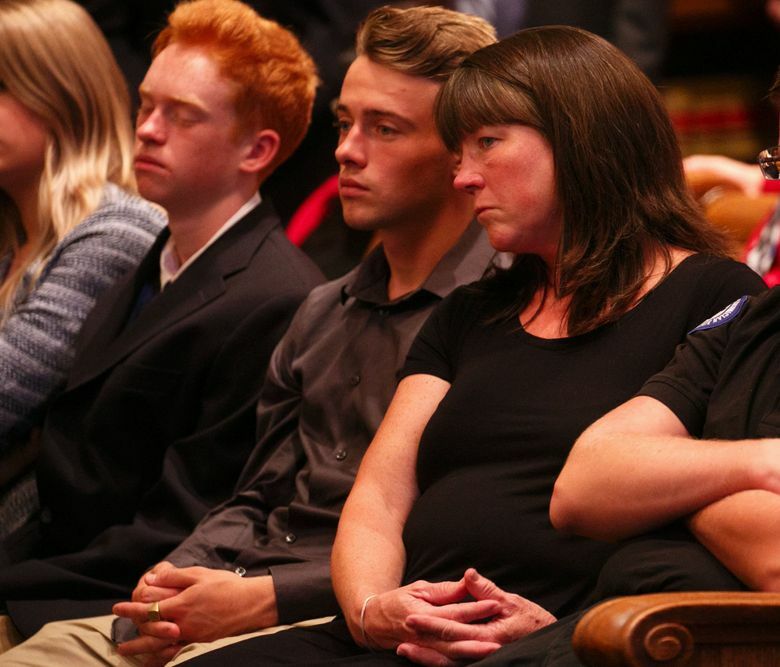 As the case has plodded along, other children of the McCleary and Venema families have graduated. Since the 2012 decision, lawmakers and Inslee have boosted state spending on school-bus transportation, materials and operating costs, and moved to provide all-day kindergarten and reduce class sizes in kindergarten through grade 3. But it left what’s arguably the hardest task for last — pay for teachers and other school employees. The education funding task force formed by the Legislature last session is expected to draft a plan for fully funding basic education by the start of the 2017 legislative session, which begins in January. That will come after the task force receives a detailed analysis from an independent consultant on teacher pay and how much is now covered by school districts through local property-tax levies. Sen. Christine Rolfes, D-Bainbridge Island, said she hopes both Democrats and Republicans can come up with a plan that has bipartisan support. 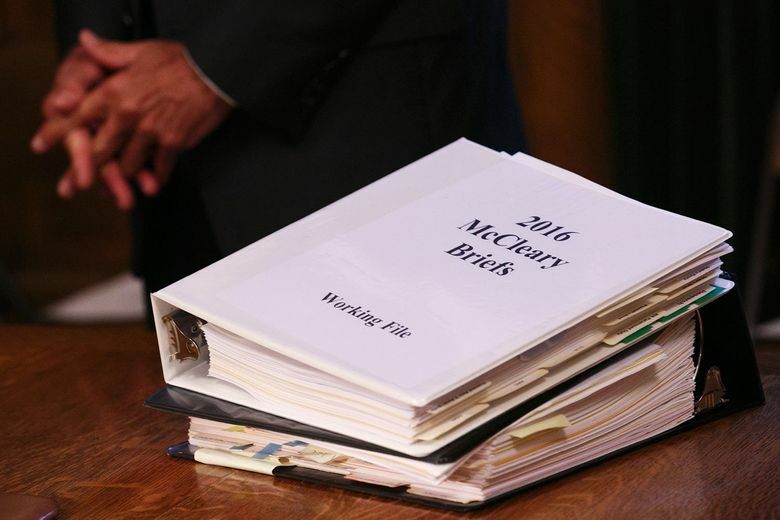 Inslee is also expected to release a McCleary plan when the governor’s office rolls out its proposed budget in December. For those who have watched the case unfold over the years, a resolution on school funding can’t come soon enough.